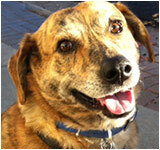 Meet Tiger, one of the sweetest hounds to ever make the Downtown rounds. Tiger is a rescue dog whose name is inspired by his stylish striped coloring. He can be timid – owner Jeff says he was abused pre-rescue – but loves to be scratched behind the ears. Keep and eye out for Tiger and Jeff and make sure to say hi. This house, believed to have been constructed before 1893, is one of the best perserved examples of a wood frame cottage in Louisville and was a typical type of miner’s housing. 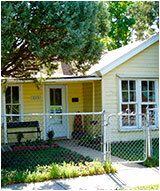 From 1920s to the 1940s, it was the home of the Julius and Elsie Stolns family. Happy Holidays! We hope you have a magical holiday season. There’s lots going on Downtown this month, and the retailers are looking forward to offering you the best of the best in holiday shopping with wonderful gift ideas and savings too. Be sure to take a break from shopping to enjoy some great food and drink at any of our fabulous restaurants. ’Tis the season to be merry!! 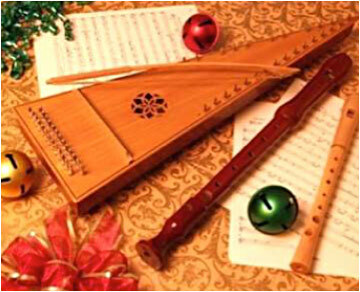 Festivities begin at 6:00 pm with visits with Santa, local choirs and living nativity. Parade begins at 7:00 pm. The Louisville Arts District is once again producing the Holiday Savings Passport program on behalf of the Downtown merchants. Take advantage of the terrific savings available by printing the passport or picking one up at one of the 24 participants throughout the Downtown area. Another great way to find savings on special, one-of-a-kind gifts for your favorite people this Holiday season! Bella Frida is honored to again host a performance by traditional Mexican dance group Matachines Guadalupanos, led by Lourdes Keefner honoring Our Lady Guadalupe. 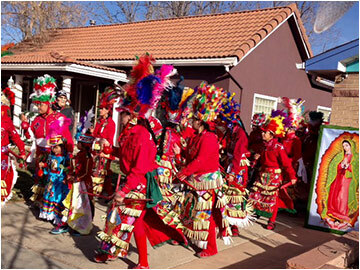 The performance includes beautiful, sacred dancing, drumming and traditional costumes. 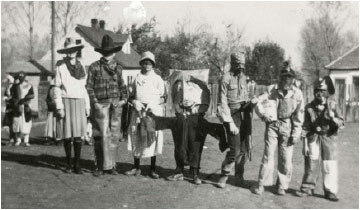 The dancing will take place in front of the shop. You are invited to bring a red rose to place near the Guadalupe statue. 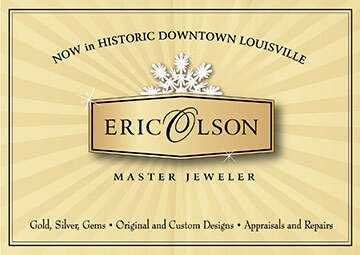 In addition to custom work in gold, silver and gems, Eric Olson offers engraving, repairs and appraisals. Here’s the perfect opportunity to find local, unique gifts at this Saturday market. Find handmade, homemade local food, crafts, and services . More information at realfarmersmarketco.com. Join Jen Soule for a heart-filled FREE yoga class, followed by specials, food, drink and more. Pre-registration for the class is recommended. Louisville’s very own yarn store is featuring Katie Hanczaryk throughout the evening, with her handmade goods for sale and felting demonstrations. Katie began her lifelong love affair with textiles at a very young age and has been felting, sewing, knitting and weaving ever since. Katie currently is an Art Therapist in Denver and has her own clothing line. Check out her pop-up shop of handcrafted gifts as well. On December 5, from 11:00 am – 5:00 pm, check out the beautiful jewelry from Israel and heed the advice of a local Israeli jewelry expert to help you choose your gift, or something for yourself! On December 12, from 1:00 – 5:00 pm get wrapped up in one of Barbara Nichol’s delightful handmade scarves available in a large assortment of styles and colors. On December 16, Ville de Luxe is teaming up with The Fuzzy Antler for Men’s Night to help men choose the perfect gifts for that special lady. Both stores will be open until 8:00 pm. 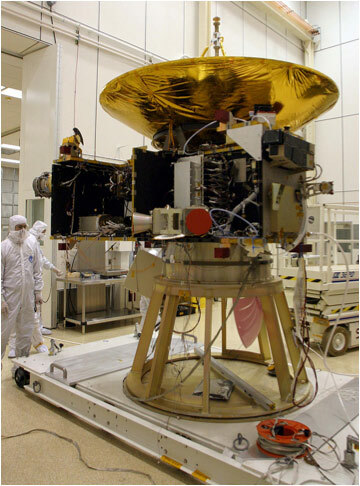 Come learn more about the New Horizon’s Mission and look at recent pictures of Pluto. Ask Phil Plait, (aka The Bad Astronomer) anything about astronomy. A renowned astronomer and blogger whose work has been called “a monumental service to the space-science community,” Phil has done Crash Course Astronomy and outreach for NASA missions. For ages 10 and up. Before you head out to the Parade of Lights, enjoy some light refreshments and listen to Now & Then, a favorite library tradition. Join Museum Coordinator Bridget Bacon for a discussion about what kinds of stories people are most likely to remember from their pasts. Which kinds of memories stick with us the most, and what types of family and community stories are most likely to survive and be passed on? Participants are welcome to bring their lunches.